Confession: some of the photos were taken this year, but most were not. So please don't think we have everything done - far from it! But it's only December 12th and everything is on schedule so we'll be ready for Christmas. I've truly looked forward to doing my Take Twelve layout each month. Using the same design template saved time and allowed me to focus on choosing supplies that supported my theme for the month. Thanks, Ella Publishing! I love that the focus is on love and care! It is so fun to honor Christmas traditions within your family. This year I am finding more joy than ever before as my back is forcing me to slow down and break up my tasks into smaller increments. Today I was able to work on the tree in small snippets of time...off and on all day with some great Christmas music in the background. There is a beauty to seeing the design unfurl slowly! Joy in its own way! I've loved seeing your Take Twelve pages ... looks like a wonderful way to chart the changes during a year yet focus on lovely details. Love this!! I have not taken one single photo in November or December!! I don't think I have ever went a month without taking photos. I'm putting this idea on my to do list. I love how your layout captures your life around the holidays! This is awesome! I love how you used the photo strips to keep clean lines but get so many representative photos on the page. Boy, I thought you were really on top of things. Already with the table set :-) I'd use last year's photos, too. There are some things you wouldn't do until later anyway. I love layouts like yours that capture what goes into a celebration. Great choices for your title lettering. Love your layout! The title and theme is so awesome! 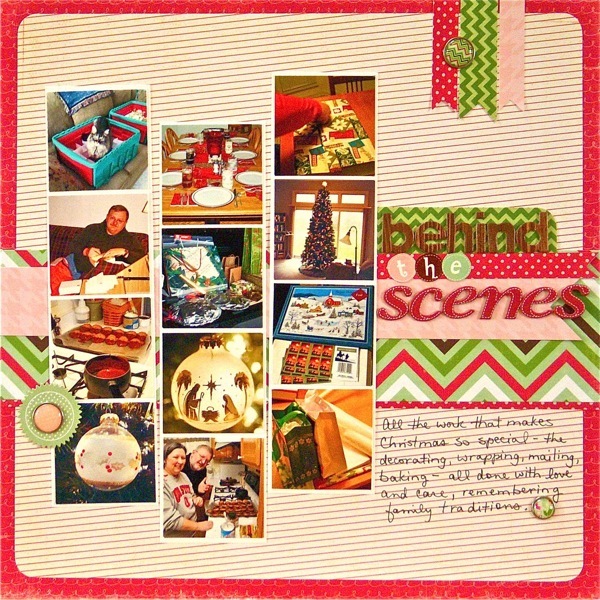 Great colors for your Christmas layout Sue, and I love the fun mix of alphas in your title!! It's a perfect layout to finish up your year with. I like your thought about carrying out traditions with love and care - I'm right there with you. It's more fun that way! 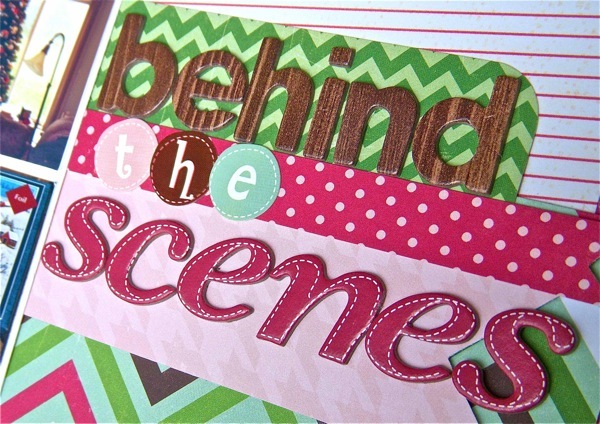 great mix of photos and I love your colorful page!